As I said last week, 2017 is going to be The Year of the ABT. This is a perfect start. 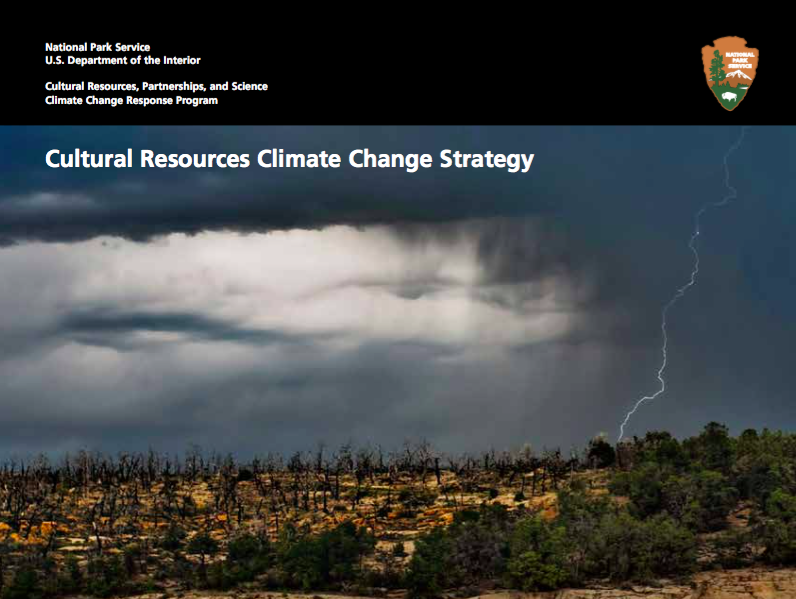 Just in time for our Story Circles Demo Days in two weeks in Colorado, the National Park Service has released a 50 page report on their Cultural Resources Climate Change Strategy featuring the ABT approach throughout. If it’s good enough for them, it really is good enough for you. IT’S SIMPLE AS ABT. The climate is changing AND it’s having an impact on cultural resources, BUT we’ll never know how much change is happening if it isn’t documented over time, THEREFORE the National Park Service just released a statement of their strategy on this. HOW TO ABT. On page 30 of the report is this nice, simple presentation of the ABT and how it works. What’s best about this new report from the National Park Service on “cultural resources and climate change” are the sections on the ABT Template (And, But, Therefore) — on page 17 and 30/31 where they explain the ABT, tell how to use it for case studies, then present case studies throughout the document where they have clearly used it. 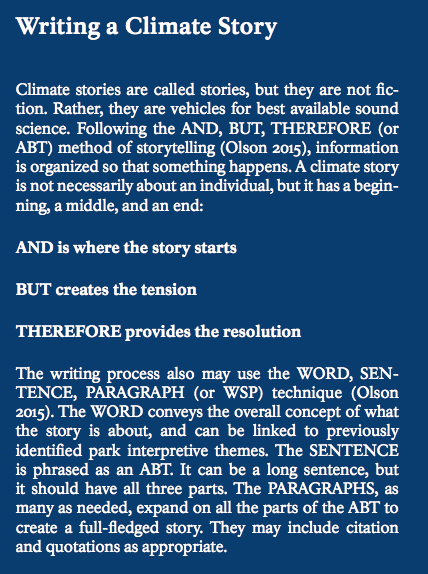 It’s not like the case studies all use the three words — it’s just that you can feel they have solid narrative structure. Each one sets up the context, presents a single narrative thread, then addresses the significance and meaning of what’s going on. It’s not that complicated. Effective communication is simple. Just like the ABT. I can’t wait to run our two Demo Days with the NPS folks in Ft Collins and Denver. This is the first group we’re working with who have already adopted the ABT approach. We’ll be starting at the most advanced level yet. We’ll be starting at the most advanced level yet. Therefore … (stay tuned! ).